A top South African lawmaker has split public opinion on the country’s Twitter space after it emerged that he was in the legislative chamber with a matric qualification. John Steenhuisen of the main opposition Democratic Alliance (DA) has since come under a barrage of criticism led by members of another opposition party the Economic Freedom Fighters, EFF. 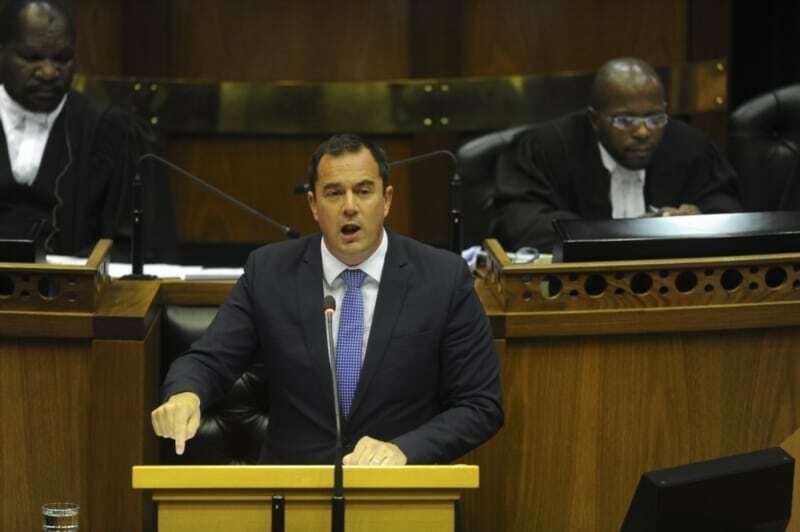 Steenhuisen, who is the DA’s chief whip in parliament, has meanwhile received the backing of the party leader Mmusi Maimane who posted a statement of support on Twitter. ‘I have worked with a great legislator, a chief whip and a friend. He is the finest Chief whip of the opposition in parliament. A constitutionalist and a fierce defender of freedom. He will continue to serve our party and the people of South Africa, John Steenhuisen,’ Maimane posted on Sunday. Incidentally, his headache started because of an initiative advanced by his party in his home region. A provincial DA wing floated the idea of allowing persons with degrees or higher qualifications to hold top positions within the party. Leading members of the EFF have accused him of benefiting from white privilege in a country that’s still trying to reconcile racial tensions having come from the apartheid regime decades back. The hashtag #Steenhuisen and #SteenhuisenGoToSchool have trended on Twitter since the discussions started over the weekend.